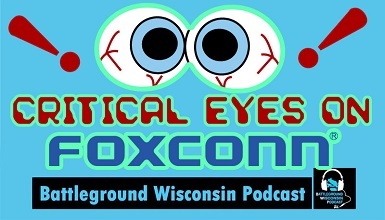 STATEWIDE - This week we do a deep dive on the Foxconn mess with two special guests: State Senator Chris Larson and State Rep. Jonathan Brostoff. Will we have a thriving new manufacturing hub in 2 years in Racine County, or an post-industrial ghost town? We also look at advances in civil rights in the Evers budget, including automatic voter registrations and drivers licenses for immigrants.